You are here: Home » Highlight Reel Or Highlight Real? Whew. I’m tired just thinking of all that went into this semester, and I’m not actually sure how it all got done. Beyond just thinking, I find that reflection, true, intentional, pointed reflection, is critical, and as tiring as anything else. 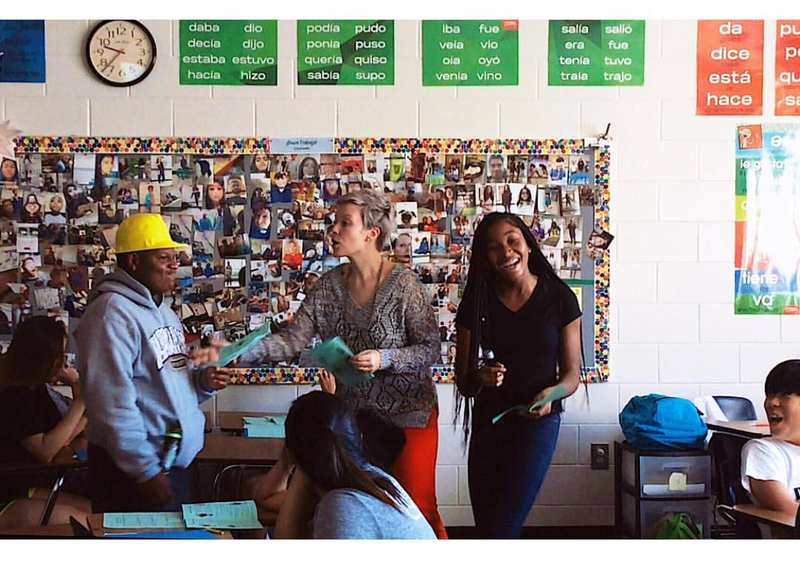 Coming off of ACTFL weekend recently and looking into various PD endeavors for the spring, I can’t help but juxtapose our highlight reels and how we highlight real. 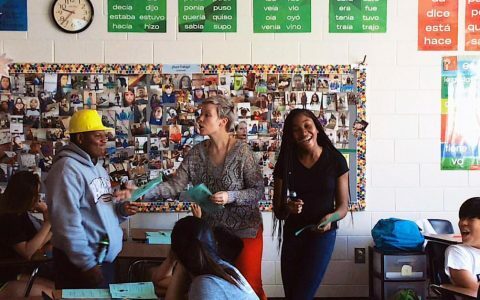 Teachers attend sessions, read blogs, send tweets, listen to podcasts, and more, from the World Language Education all-stars we’ve come to know and love. Their strategies are proven, their classrooms warm, their student results impressive — but, how does that make us feel about ourselves? For me, not always awesome. I am not jumping to conclusions; psh, come on. I’m pogo sticking, high jumping, catapulting myself towards conclusions, and internalizing the verdict that 1.) they’re awesome, and 2.) I am not awesome. Truth time: they are awesome. But also, we all are in our own, different way(s). But being awesome and expecting to bring your A-game every single day isn’t sustainable, for them, for us, for students, period. 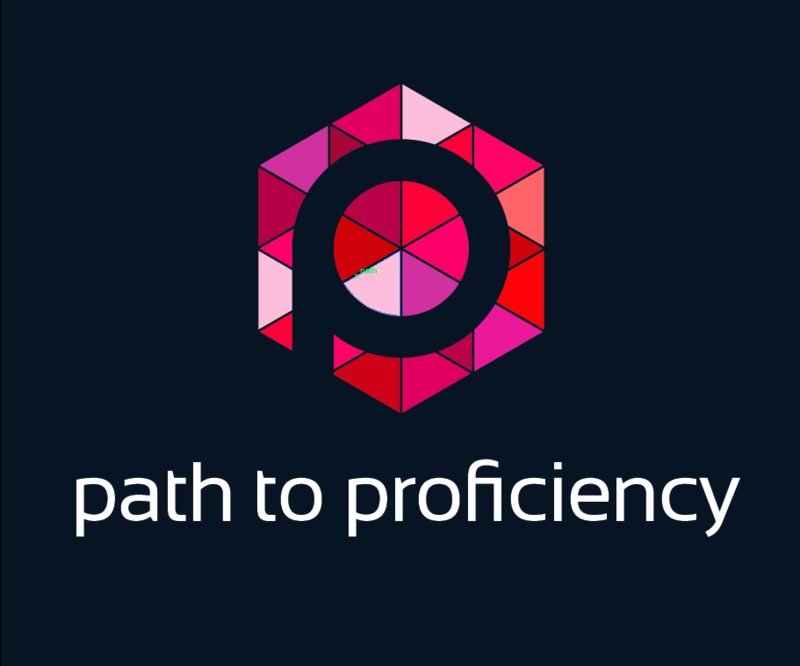 Proficiency has made me a better teacher, and a better understander of my students – understanding proficiency versus performance has truly helped me see that there is an ebb and flow to language, especially production, and that we can’t all be leveling-up all the time. If we maxed out at the gym lifting newer and heavier weights every single time, our muscles wouldn’t have a chance to rest. So, why do we expect it from kids, or from ourselves? We sometimes expect them to bring their very best every single day, or, we see others’ tremendous contributions to our field and assume that they are like that every single day. No one is because no one is meant to be, and that’s OK. If you grew up in Illinois as I did, you had three baseball fan worlds to choose from: the White Sox, the Cardinals, or the Cubs. If you know the Cubs, you know that winning the 2016 World Series was a BIG DEAL. My father, 74, never in a million years (or 108!) thought he’d see it in his lifetime; he did, and it was pretty special. But even in their worst years, Cubs fans have always looked forward – “Next season, it’s going to be their year! I’m telling you, next season!” If we take that to the micro level of our classrooms after our worst days, pushing ourselves towards positivity and the growth process, we can be mini Cubs fans: “Tomorrow! Tomorrow is my day, I guarantee it.” In education, if not for process and optimism, what else is there? We cannot watch other classrooms’ clips, photos, project results, etc., and feel insecure. “Hmmm, I should do that…” is much more workable than, “I didn’t think of that because I’m insufficient,” the latter being a very easy conclusion to jump to. Our work is innately very personal; but, it’s important to be choosy as to which pieces we attach to our identity or not. The voice that speaks the loudest about ourselves is usually our own – we need to be kind. Don’t get me wrong – people blog, post, tweet, and present on aspects of their teaching that are successful really well because they’re excited to share. 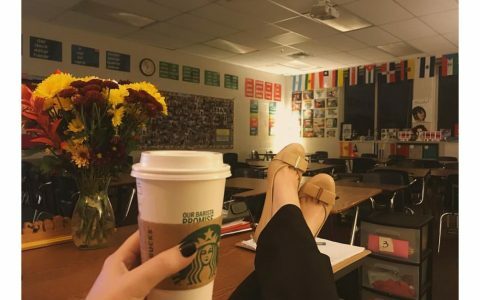 Other teachers learn a lot from them, and it’s overall positive. That doesn’t mean that those people don’t have that one class (or several!) that can’t seem to keep X, Y, and Z together, or that parent who sends 70,000 e-mails, or the disrespectful outburst that cut to the core, the daily struggles, etc. ; kids are kids, and those things happen to everyone everywhere, to one degree or another. But, it does us no good to see someone else’s highlight reel and compare it to our bloopers — in this crazy career of ours, we are in it together. I have to monitor myself on this in a big way, or else it’s a hop, skip, and jump to feeling like I’m not enough – my brain has been trained, finally, to feel the twinge of inferiority and pause, “Stop. You’re comparing apples and oranges.” Once we know better, we do better, end of story. When we teach toward proficiency, we teach students the expectations that are appropriate for their level, the task, and where they are in their language acquisition journey. It isn’t about “include five adverbs, six adjectives, all forms of ‘to be’,” and so on. True proficiency is about “do __ task at __ level;” function before form; can-do statement over can-memorize structure. We take so much into consideration, and context is everything. When it comes to ourselves, I think we are far too harsh, and many of the same philosophies apply. Caring for ourselves and for each other is key. 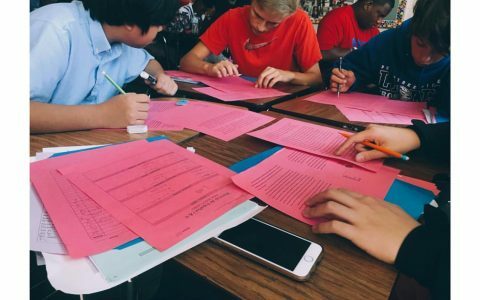 Using the new ACTFL Can-Do statements to craft some common assessments or leveled expectations? Divide the work! Taking materials you already have (perhaps you’re text-less) and merging mindsets? Start with one unit and use it as a model. I’ve been on teams where we wanted to revamp curriculum, and decided to start with Spanish 1, Unit 1, so that we’d start the year off a.) aligned, and b.) fresh. We ordered a bunch of pizza and basically had an all-day lock-in of writing, sharing ideas, and focusing. Once we had Unit 1 as the model, with simple Can-Dos and a MUCH more pared-down vocabulary selection, everything was task-based, we then could divide the work on future units; the vision (Unit 1) was there. Everyone wins! 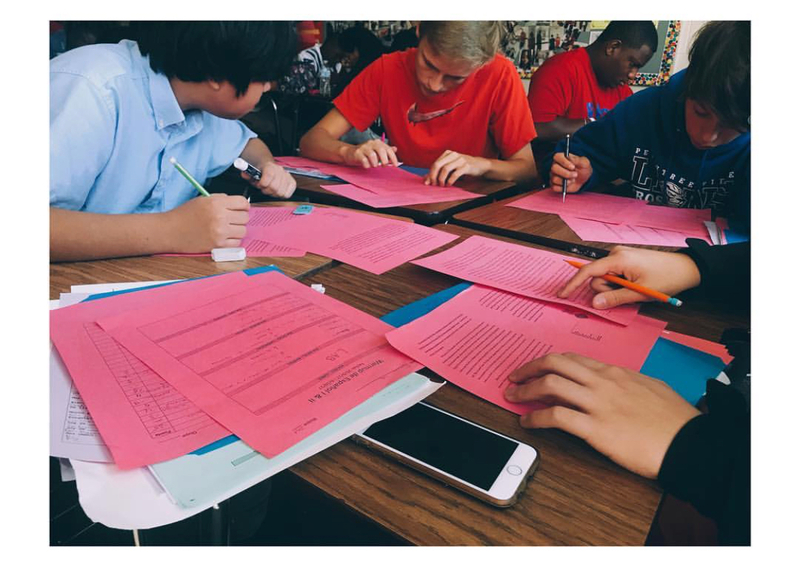 The students benefited, our relationships were strengthened, and no one or two people were burdened with the new endeavor (teaching toward proficiency). I think it’s healthy to have a highlight reel, but we mustn’t be afraid to highlight what’s real — in the end, it brings us together and, in classroom teaching in 2017, I’d venture to say that we benefit from unity more than ever. This is a great message for me and my teachers right now! Gracias, amiga! I’m pogo sticking, high jumping, catapulting myself towards conclusions, and internalizing the verdict that 1.) they’re awesome, and 2.) I am not awesome. Glad I am not the only one feeling this way! I loved this so much. Thanks for the inspiration and kind words about doing too much. Thanks Meredith! I appreciate the reminder that some teaching days are better than others. I also appreciate that the doubt that we feel is real now and then, and that having a reminder that others feel that way too, is very helpful. To me you’re one of those people who shine bright- like a rock star, so keep on shining! I can relate to this blog a lot at the moment. Its a reminder that some teaching days are better than others. We as teachers cant beat ourselves up, as well as our students we have to value what we do and keep pushing to help benefit our kids. It is very interested. I believe one of the best way to help students to be successful, after getting to know our students, is to learn from others colleagues’ experience.